All girls, females & BOYS are Welcome. 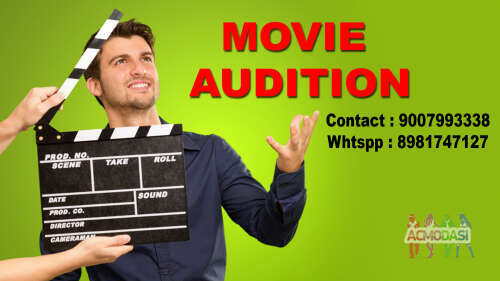 We Wanted Fresh FEMALE & MALE Artists For Complete Movie Cast Main lead to Side Roles. If you are TALENTED, If you’re DEDICATED in Work, If You’re HARD WORKER, If Your ELIGIBLE Then We Give You 100 % Chance. If Your really Interested & Talented Then Its Right & Wonderful Platform For you To Prove Your TALENT. AUDITION CLOSES SOON. DONT MISS IT !! ALL THE BEST !! !